Visit the Commonly-Asked Questions page of this site if you have questions not addressed here. Additional Manatee County info – click here at their website. 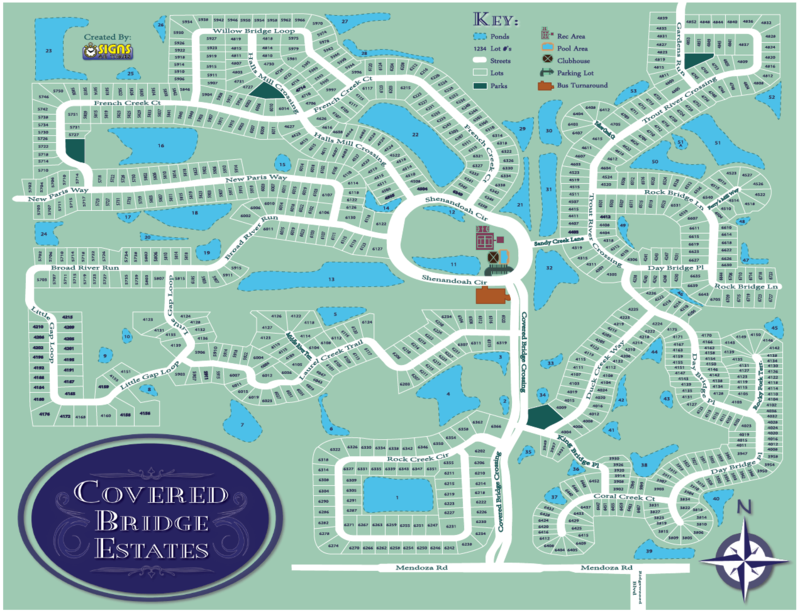 Join the men of Covered Bridge Estates on the 2nd Wednesday of each month at Popi’s in Ellenton at 8:30am for breakfast. These events are a great way to meet your neighbors and get connected. If you are interested in organizing one of these events or you have an idea for a community event that you would like to sponsor, please contact us at webmaster@cbecai.com with your name, phone number or email address, and a summary of what you would like to do. If approved, we will advertise your event here and on the home page.